Vintage to you, new to me! As with most things in my life, I’m a day late with my A Muse Bouche offerings this week but I was totally inspired last night after seeing all the other Muses work their magic with the wonderful Special Edition Vintage Stamp set. It’s been a tumultuous week, preparing for the Wedding show last Sunday at the Delta, and now getting ready for The Paperie’s BIG Scrapbooking Retreat at the Wilds in Salmonier this weekend. The rest of my cards are 4.25×4.25 – with all the new 8.5×11 paper from A Muse, I love being able to make this size card again! For the next card, I had to use my favourite stamp from the vintage release, the Tire Swing. I paired it with my all-time favourite stamp, the Big BL – you MUST go buy this rectangle background stamp before it’s too late – I’d hate to see you snooze and lose 😉 The sentiment on this card actually comes all on one line, but I cut it up so I could easily stagger it. I do this with 75% of my acrylic sentiment stamps – gotta love versatility. I used my scor-pal to create an “embossed” border to add a little extra interest to this card. 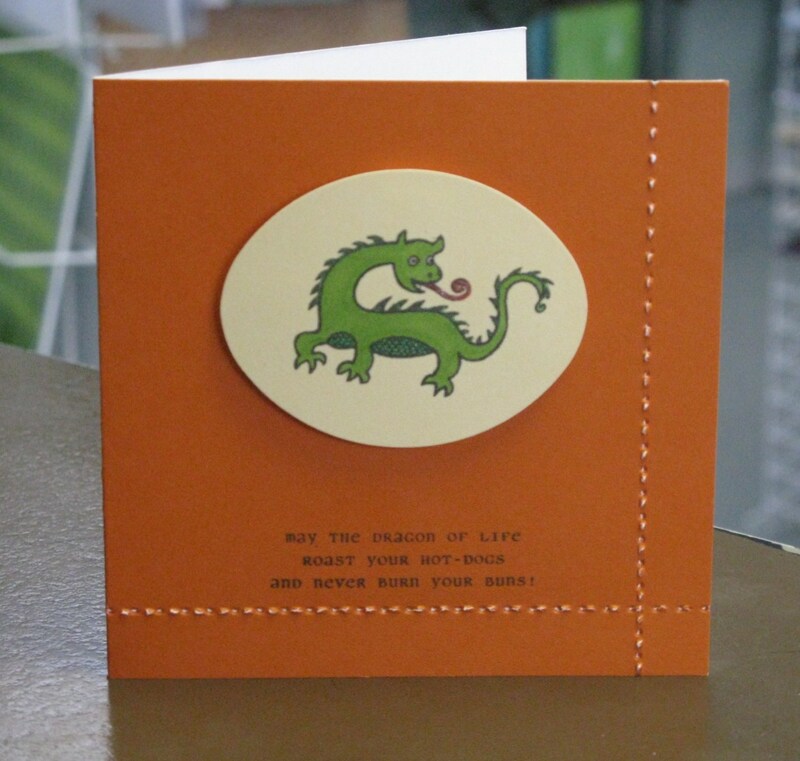 Finally, I could NOT resist the Dragon and matching sentiment – hilarious! I love that A Muse paired brand new sentiments with all of the retired stamps for this Vintage release. Again, I used my Scor-Pal and the Scor-bug to create a bit more interest – this technique was inspired by Emily’s Card yesterday. 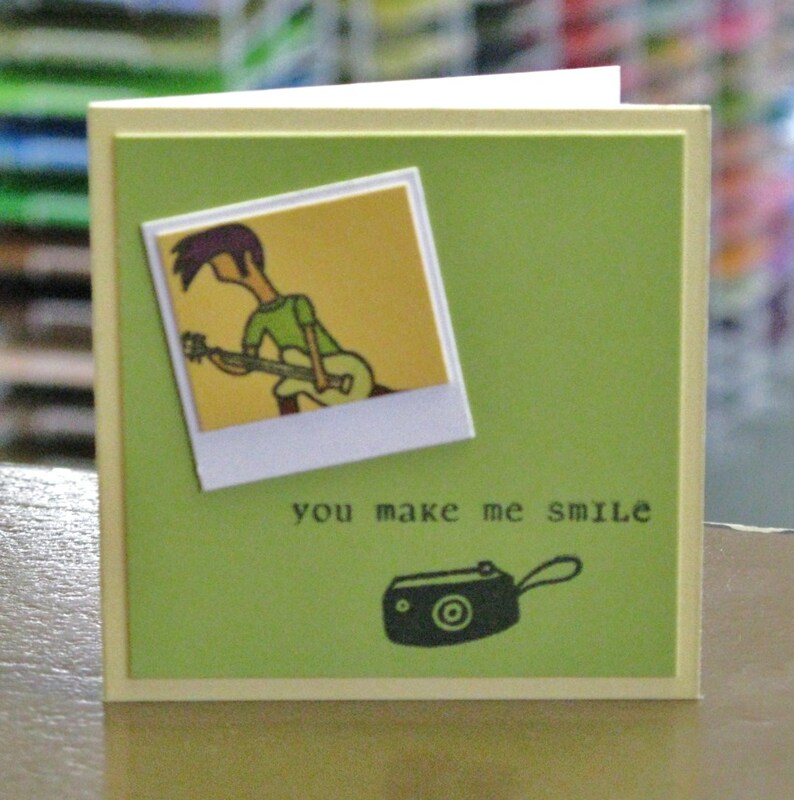 To see cards from all the other Muses using the vintage stamps, check the links below! Beth (A Muse Instructor in AL): What’s Up? Jennie (A Muse Instructor in NV): What’s Up? Becky (A Muse Designer): What’s up? You did I great job on all of these Meghan! I love the tire swing one especially! Great work! WOWIE! Loving all of these! The Rock star polaroid is AWESOME! Glad you got in on these Meghan and what cute cards these are! Love your Scor-Pal and Scor-Bug edging – darling! Love the rock star polaroid!! Cool cards. Met you on Hero.